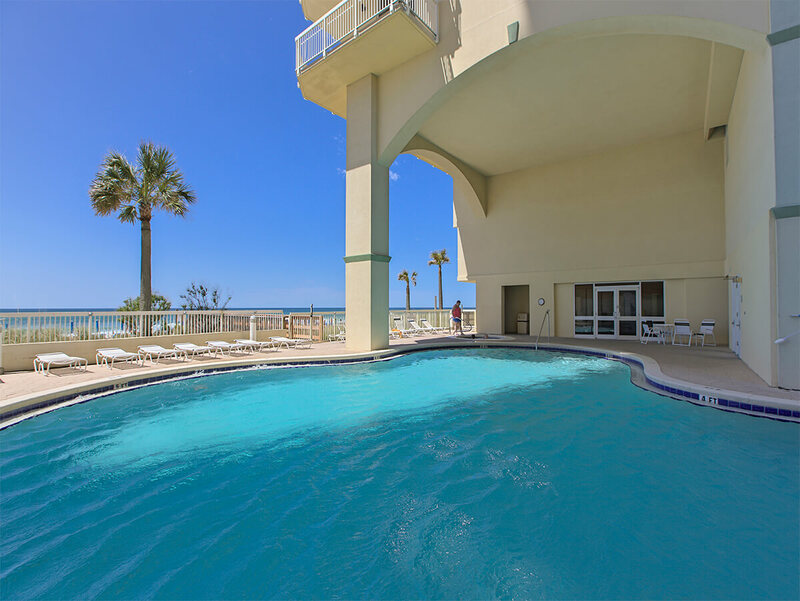 This immaculate condo at the Celadon Beach Resort features 1 bedroom and 2 bathrooms on the 23rd floor. The interior is decorated elegantly with top of the line furnishings and premier comforts. A fully equipped kitchen includes utensils and appliances. This breathtaking beachfront retreat will comfortably accommodate 6 guests. 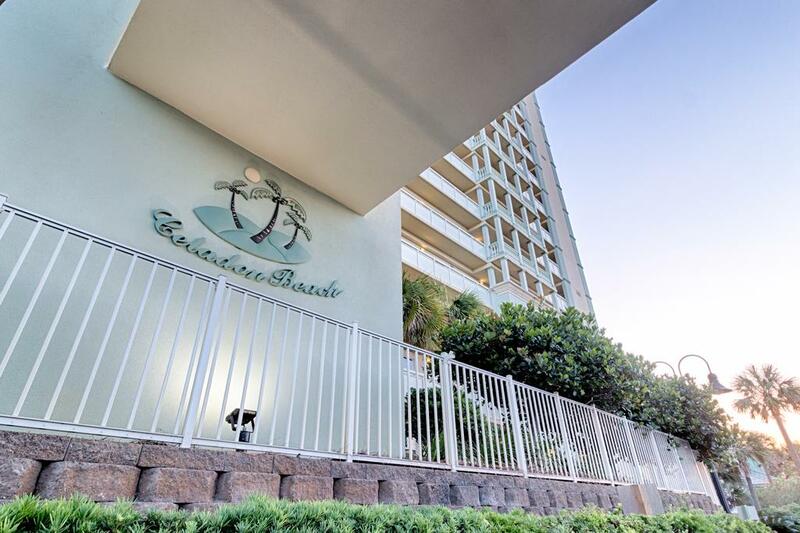 This condo offers FREE beach services! The beach services include two padded chairs and an umbrella when wind permits. 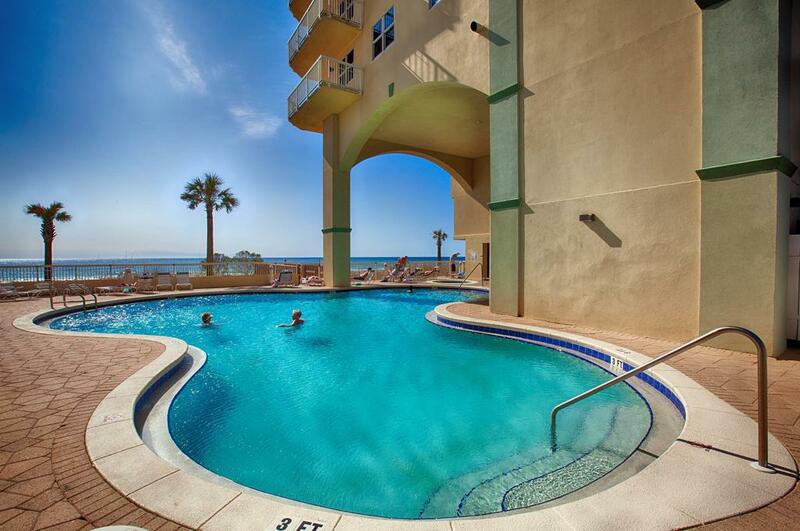 Located directly on the Gulf of Mexico, the Celadon Beach Resort is a luxurious condominium in Panama City Beach. Property amenities include a gulf-side pool, a seasonally heated indoor pool with spa, large deck with dune walkovers, tennis courts and a fitness center. Guests will also enjoy the climate-controlled walkway leading from the parking garage to the main lobby. 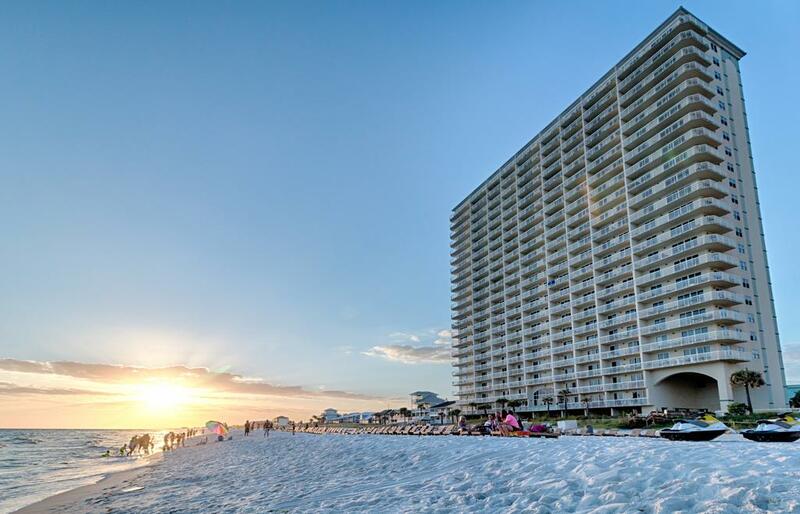 Celadon is located on the prestigious west end of Panama City Beach. 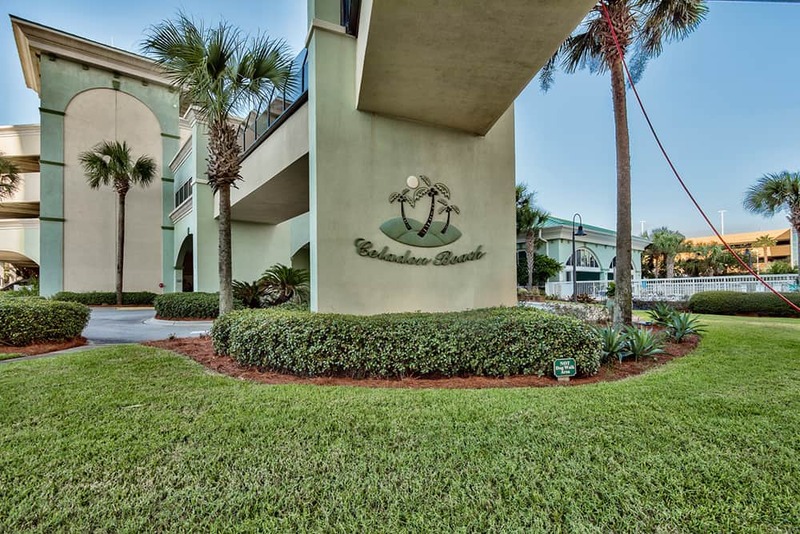 Just minutes from the shopping, dining and entertainment of Pier Park and sporting events at Frank Brown Recreation Center, Celadon is a perfect fit for families and couples looking for an unforgettable beach vacation to Northwest Florida. * This resort requires additional fees for parking. Very good except pool locations. Hi Ronald, We appreciate the review and we look forward to seeing you again in 2020. Thank you so much for being a loyal guest with Book That Condo! We are here if you need us!! It was a quiet and relaxation time at the beach. The unit was extremely clean and the view was unbelievable. Hi Sherri! We are so happy to hear that you had a lovely time and enjoyed the view. We hope to see you again soon! Upon arriving to our condo we were pleasantly surprised! We did not see pictures of the internal rooms prior to booking but the condo did not disappoint. The location was great and the beachfront view was amazing! Perfect size for our family of four. Also loved how family-friendly the property was, made for a great spring break vacation. The only improvements would be the wifi, it was very slow and hard to get a signal and the bed in the bedroom was a little saggy on one side. Overall, I'd stay here again. Thank you for taking the time to share this review. We are so happy to read that this condo exceeded your expectations. We understand booking a condo without seeing the interior can seem very risky, but we are so thrilled you ended up enjoying your stay. Please, give us a call when you are planning your return visit to the beach.